Meta Therm Furnace Pvt. 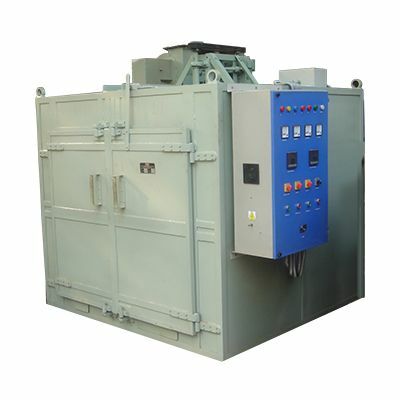 Ltd manufactures and delivers a wide range of ovens largely for industrial applications. Even though we have fuel-fired ovens in our inventory, our electric ovens are much more demanded, for their eco-friendly nature and optimum efficiency. Our reputation as one of the renowned Electric Oven Manufacturers In Mumbai has also contributed to the success of our electric ovens. Features like precise temperature control and clean operations make them highly suitable for a wide range of industries. Our team has worked for days on the technology of these electric ovens to bring you a truly modern electric oven. Our company is one of the most recognized Industrial Electric Oven Exporters and Suppliers in India. Either give us a call or just fill the given form for placing your order right now.